The Baltic Science Network announces the upcoming transnational seminar “New Tools for Spreading Excellence and Widening Participation in Research and Innovation Programmes” which will be taking place on 16 November 2017 in Tallinn at the helm of the Estonian EU Presidency. The seminar will be dedicated to discussing the most promising solutions which would help increasing the participation of moderate innovators in research and innovation initiatives implemented in the European Research Area. 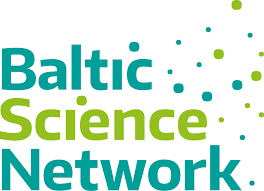 The event is part of Baltic Science Network programme. The Network is developing targeted multilateral activities tailored for research and innovation excellence, mobility of scientists and expanded participation. The Tallinn seminar is focussing on widening participation in research and innovation programmes. Save the date announcement and programme (also attached) provide a glimpse of the notable set of high level speakers assembled by the seminar. As regards to the most recent public debates organised by the Baltic Science Network during the seminar “Creating the future of the Baltic Sea Region (BSR): Better competitiveness through joint research cooperation” which took place during the 8th Annual Forum of the EU Strategy for the Baltic Sea Region in Berlin, please consult the press release here.